Hundreds of clinical studies have shown that certain nutrients from food provide protective benefits for breast health. 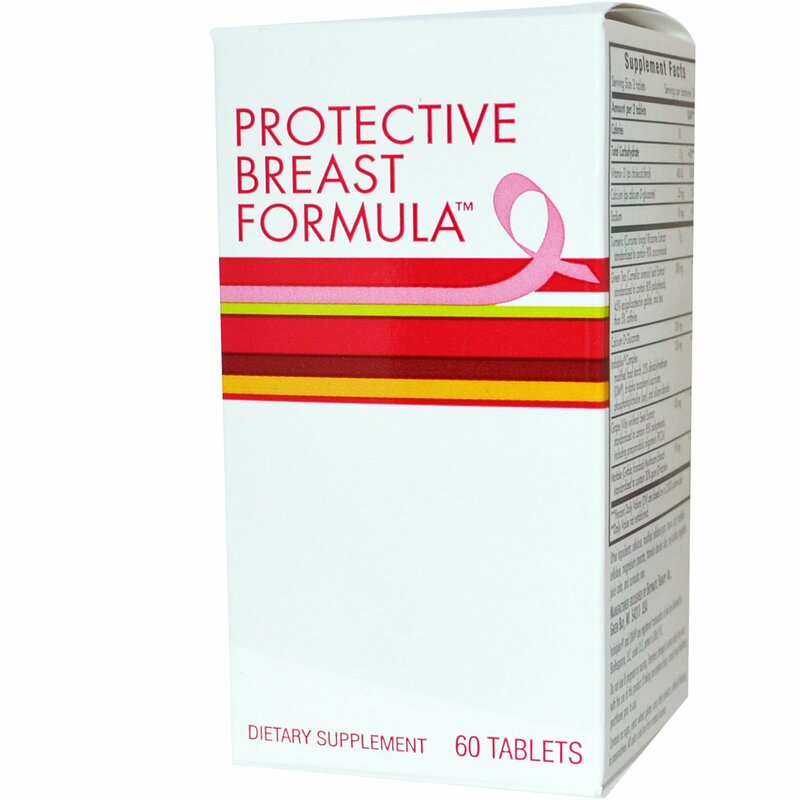 Protective Breast Formula was created in collaboration with Christine Horner, MD, FACS, an expert in the field of women's breast health. Dr. Horner has been a women's health activist for more than 15 years and has done extensive research into key nutritional and lifestyle interventions proven to promote breast health. Partnering with Enzymatic Therapy, Dr. Horner developed Protective Breast Formula with clinically-studied doses of natural ingredients that enhance each of these functions. This Nutrient Powerhouse Defense is a vital foundation for breast health. Recommendations: Two tablets daily with food. If desired, take one tablet twice daily with food. 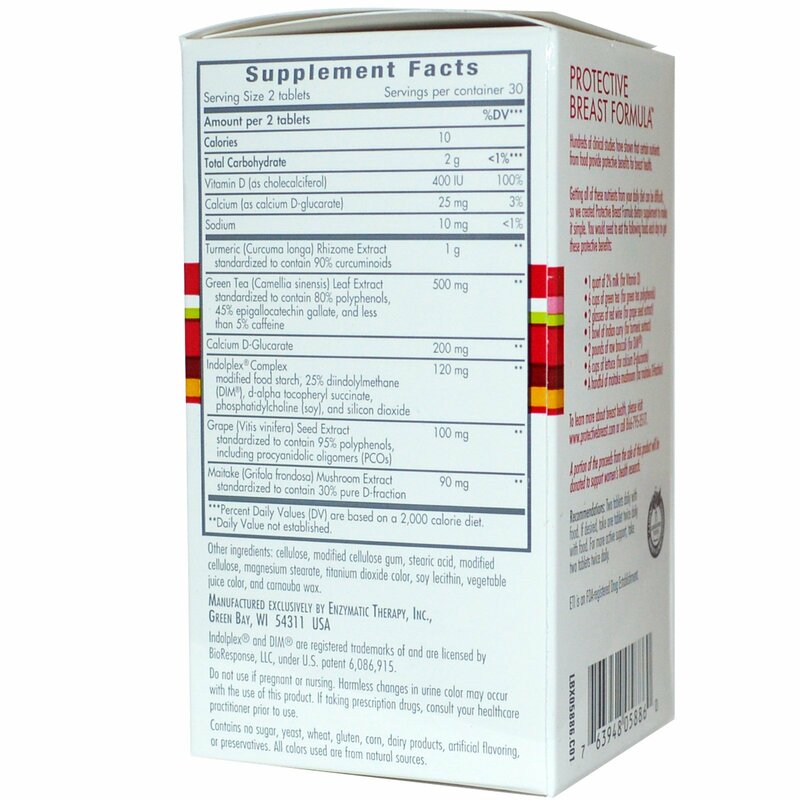 For more active support, take two tablets twice daily. Do not use if pregnant or nursing. Harmless changes in urine color may occur with the use of this product. If taking prescription drugs, consult your healthcare practitioner prior to use.